Robin Sheilds here with son Ben, husband Tim and daughter Abby!!! SEMA is pleased to announce that Robin Shields has joined their staff as a fundraising consultant. Robin joins the crew following a successful stint as the Executive Director of the Sippican Lands Trust in Marion, MA. She brings with her expertise in fundraising, educational programming and community engagement. A New Englander her entire life, Robin and her family moved back to Marion five years ago. Both a Tabor Academy and a Dartmouth College graduate, she is an avid sailor and can often be found on Buzzards Bay with her family aboard their sailboat “Meltemi.” Robin worked for Maine’s Hurricane Island Outward Bound School for many years as a sailing instructor and during that time received her 100 ton Coast Guard License. In addition, she got a Masters in Marine Policy at the University of Rhode Island and worked as part of the Buzzards Bay Coalition’s water quality monitoring program. Robin is excited to join SEMA and undertake her goal to help raise the monies needed to complete the ongoing restoration campaign for the Schooner Ernestina-Morrissey. “The vessel has an incredible history; a great story to tell,” she said. 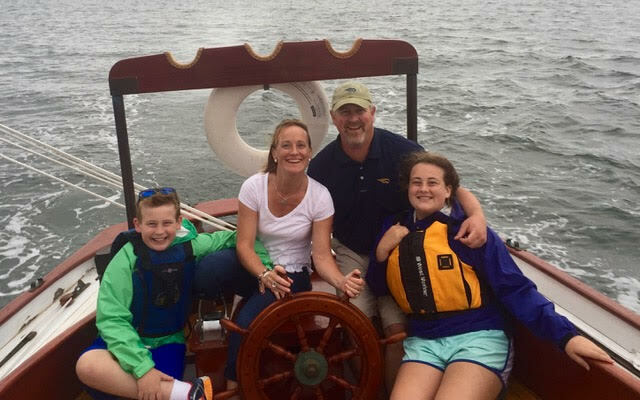 “As the official Vessel of Massachusetts, the Ernestina-Morrissey will undoubtedly have a positive impact on many more generations to come as a sail training vessel and an educational connection to the waters of Buzzards Bay and beyond. I am honored to play a small part of her story”, Shields said.